Floodlights are a popular item used throughout the UK as they emit a great level of light making them ideal security lights, wall washers and are often used in theatres for stage lighting. LED Flood lights are a fantastic alternative to old halogen flood lights as they are energy saving, cheaper to run and emit the same output of light as old halogen bulbs whilst remaining cool to the touch. We have a growing number of UK home owners and business owners contacting us on a weekly basis who want to make the conversion from old halogen lamps to energy efficient LED’s. As well as the mains voltage floodlights we also stock LED flood lights in 12v and 24v, this allows you to use the floodlights on vehicles, trucks, etc. Our low voltage floodlights make ideal work lights and are used by many UK breakdown and recovery companies throughout the UK. 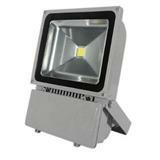 We have a wide range of LED floodlights in 10W, 20W, 30W,40W & 50W which cater for any type of project…. LED wall washer lights provide beautiful colour-rich illumination that makes a great secondary lighting source in any room or building. We have LED floodlights available in White, Warm White and Colour Changing which are fully waterproof and often used as wall washer lights to provide great effects to commercial buildings, offices, etc.